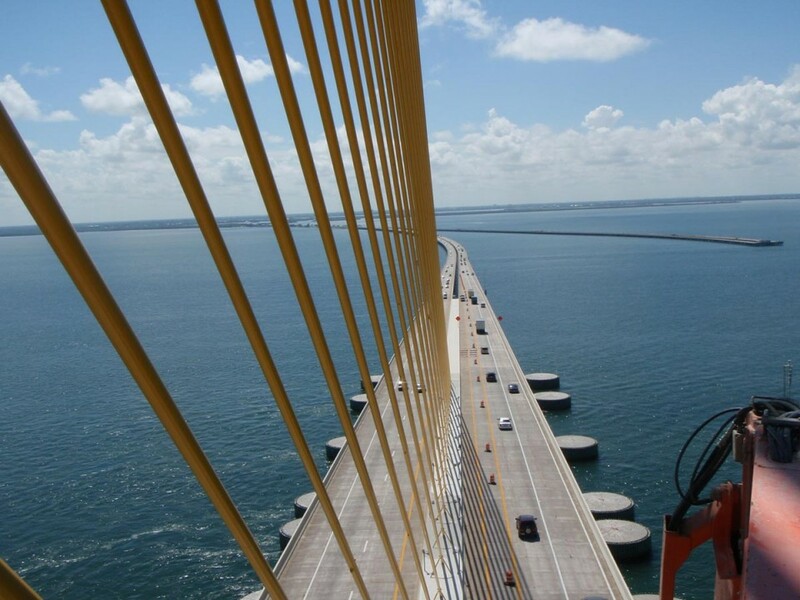 In 1996, KCA was awarded the first consultant inspection contract to inspect the Sunshine Skyway Bridge for FDOT District Seven. 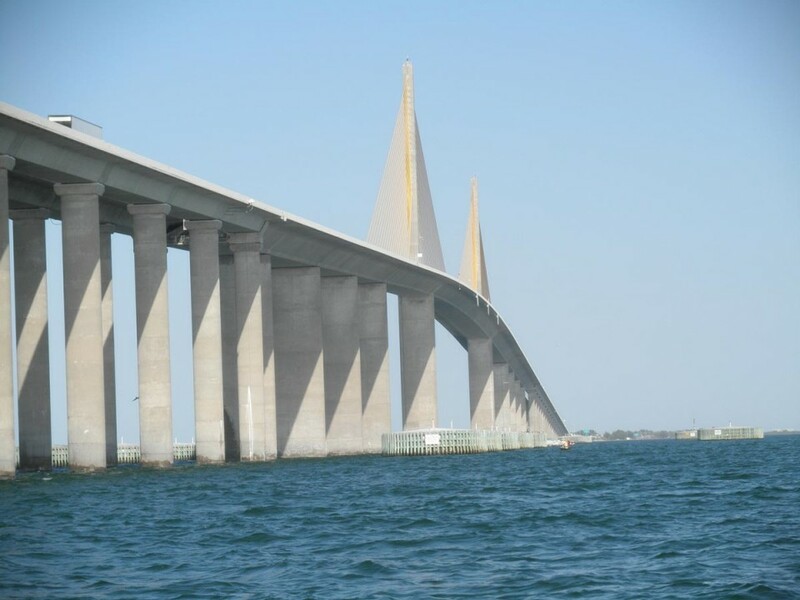 The Sunshine Skyway Bridge is part of I-275 that links the major metropolitan areas of Tampa/St. Petersburg and Bradenton/Sarasota across lower Tampa Bay on the west coast of Florida. 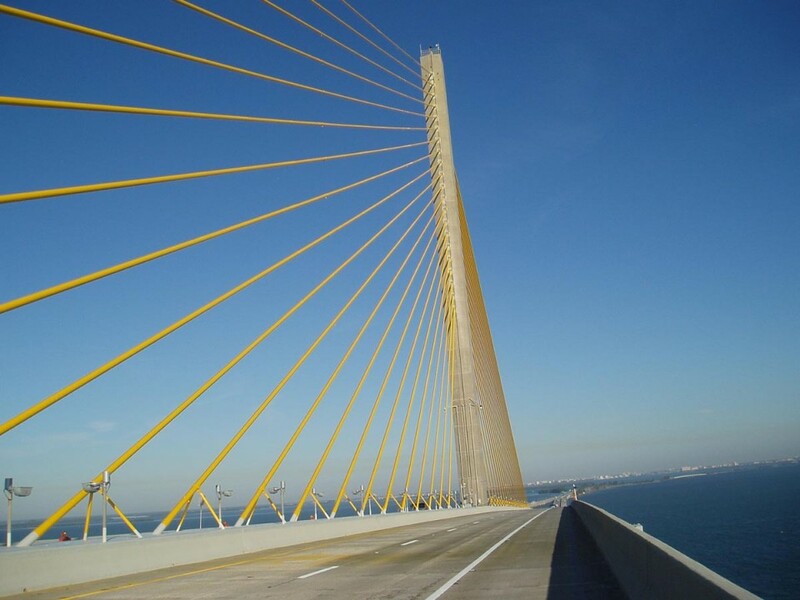 The Skyway Bridge has a total bridge length of 21,880 feet (4.1 miles) and consists of three major sections: 4,000-foot main span, 4,860-foot high-level approach span, and 13,020-foot low-level approach span (trestle system). The main spans and high level approach spans are concrete segmental box girder construction with external post tensioning tendons. 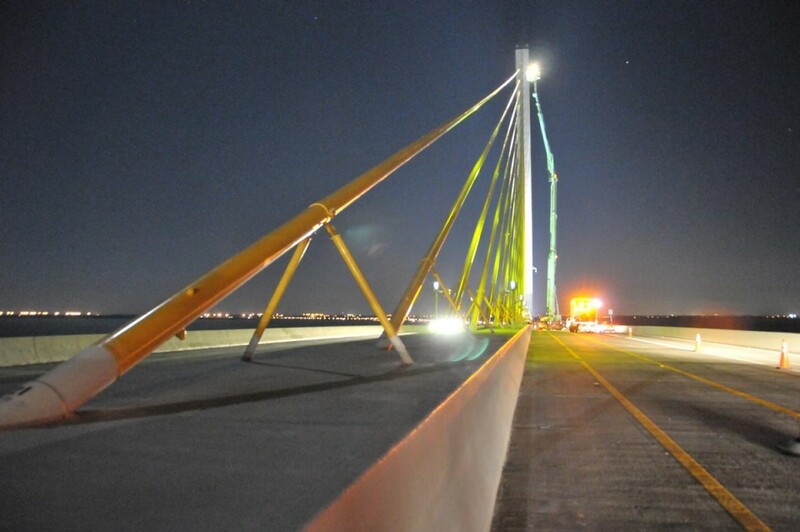 The main spans are supported by 42 cable stays consisting of 38 to 82 post tensioned strands encased in grout inside of non-structural steel casing. There are two main support piers within the cable stay spans. 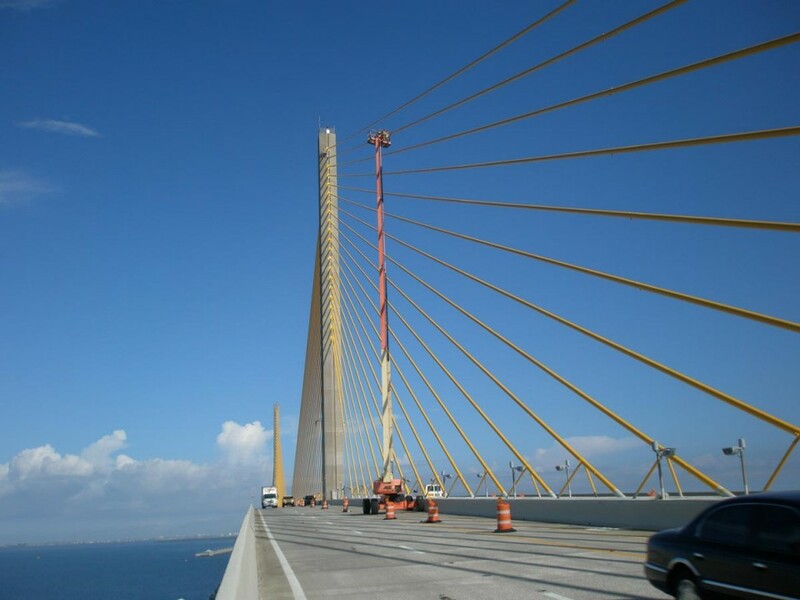 Twenty-one cables pass through each of the main support pier pylons and anchor into the segmental box girders along centerline of the structure. From 2004 through 2014, KCA has performed the biennial routine inspections as part of an Asset Maintenance contract currently held by Infrastructure Corporation of America (ICA). 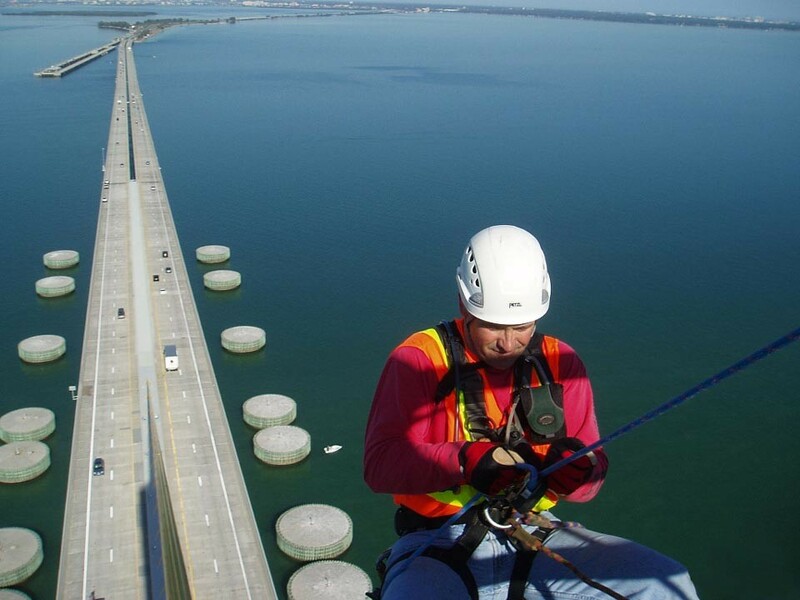 KCA is responsible for the inspection and detailed documentation of the high-level approach spans and main spans including the cable stay portions. From 2008-2014 during the biennial inspection, KCA, in conjunction with a firm specializing in corrosion, has performed a special detailed inspection of the banana pipes encased within the pylons over the main piers. This inspection is performed to evaluate corrosion within the banana pipes. This inspection utilizes a bore scope to visually access this confined area.